Hello Darlings, Every woman knows that her hair is her crowning glory and that making each hair flip fabulous takes special effort. After all, it is our best accessory! A bad hair day not only dampens our mood but also has an effect on our self-esteem. Nothing ruins a special moment or a great outfit like messy hair; been there and done that far too many times. Now, a good hair day adds an extra bounce to our step while making every outfit fabulous. A good hair day makes us feel invincible and ready to conquer the day! From blonde in high school to brunette through mid-university and finally to a redhead in my 4th year, I’ve gone through my fair share of hair dilemmas. Since finding my true color match on the fiery side, I’ve been on search for that full, “just got out of bed but it’s looking perfect” hair. The kind that has just enough body and bounce! As much as I do love my hair, it would be nice to be able to go through the day with an extra bounce. Especially on those days when you’re getting dolled up for a night out with your girls, that full and luscious hair is just what your outfit needs. The only difficulty is that my hair is naturally fine and wavy, which does not hold body well. Having it long does not help either, as it gets weighed down by the length. A few weeks ago, as part of LOULOU Magazine’s Selfie Crew, I was invited to try out the new Tresemmé Beauty-Full Volume Collection. The hair regime is formulated to give body and bounce for soft, touchable volume every day. 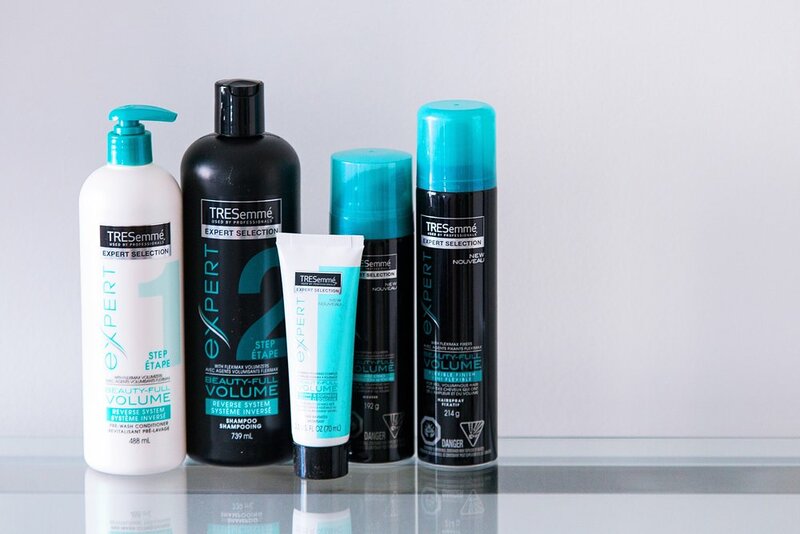 The new Reverse System uses the Pre-Wash Conditioner first to soften the hair and then the Volume Shampoo to wash away weight. Condition first and, yes, even the roots. Shampoo second. At first it was strange to reverse the steps but after a little getting used to, it becomes natural. Especially after you feel how soft the hair is. It feels much lighter and is easier to manage. For daily styling, I prefer to use only one product after washing and typically I use the Touchable Bounce Mousse, as it gives just enough volume without adding too much product. Now, for those days when I’m looking to add that extra bounce and to ensure that my hair keeps its body and curl, I use the Volume & Softness Hair Maximizer prior to adding a little bit of mousse and then setting the look with Flexible Finish Hairspray. I use hairspray only for special occasions, as I like to keep my hair low maintenance. This formula is lovely in the sense that it does not leave hair crunchy or stiff, making it great for the warmer weather to come. 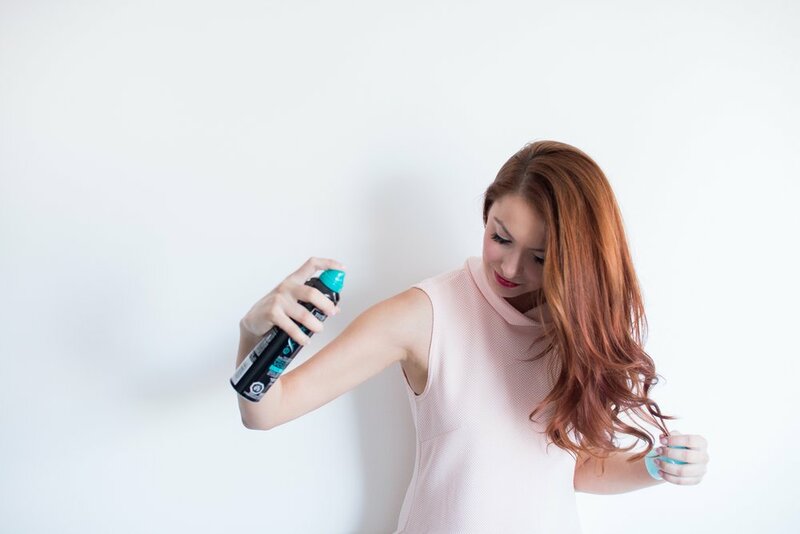 A touch of hairspray works like magic on humid days to keep frizz in check. As an extra touch, all of the products smell amazing! Remember, life is too short for bad hair days, so find what works for you and enjoy. Beautiful hair is confidence! * I have received the products mentioned in my blog post for free from Tresemmé, and I have received compensation from Rogers to review them. The opinions expressed in my blog are my own and not those of Rogers or Tresemmé.